With 62,000 square feet over five floors, East London's most remarkable independent arts centre stands in the place of a converted leather factory. 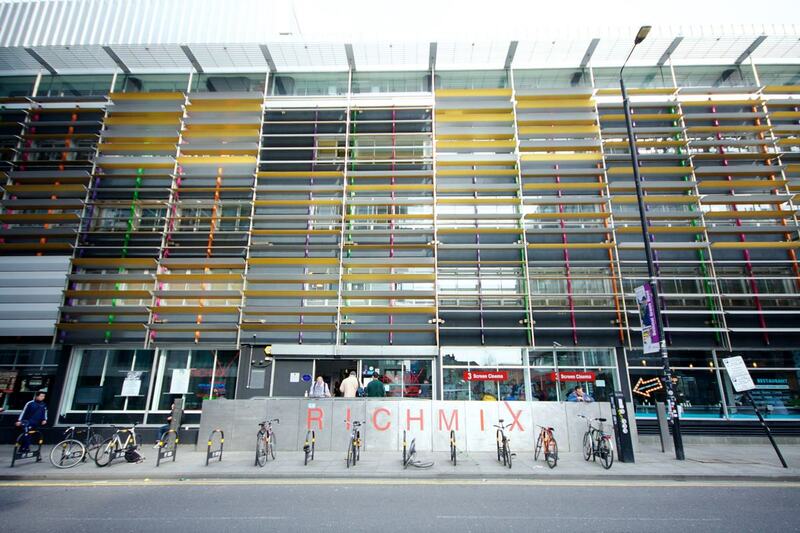 Today, Rich Mix is a revered cultural space, showing a diverse range of film, comedy, music, visual art and more, all in the heart of Shoreditch, on vibrant Bethnal Green Road. As well as putting on its assorted cultural output, Rich Mix doubles up as a prime events venue for all types of functions, creative to corporate. 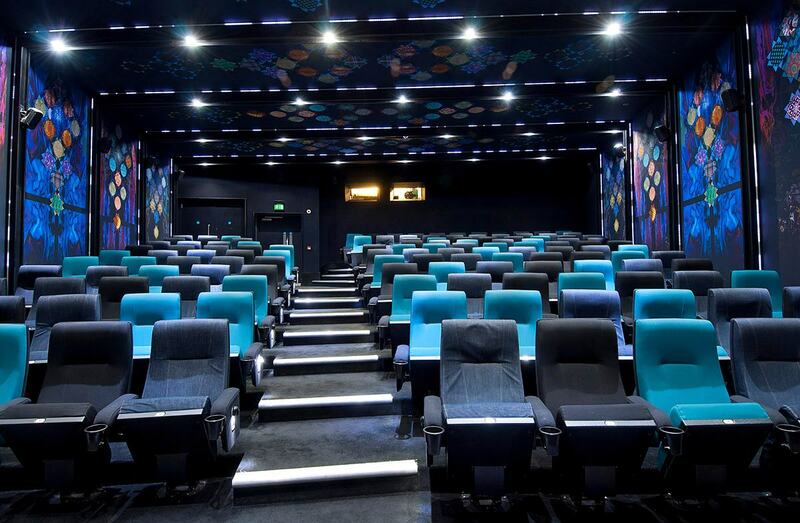 Of course, the central spaces are the cinema screens, which can play host to private screenings of all kinds. But that's not all. They are equipped with small stages, AV facilities and a wealth of other features that make them ideal for conferences, training days, seminars, presentations and more. The screens are popular choices even for weddings. Imagine a wedding themed around your favourite movie as a couple? Or one where your guests can view reels of your standout memories as a duo? Screen 2 is particularly perfect for weddings, thanks to an aisle running up to the stage, and its quirky (denim!) décor. In fact, all of the boutique screens have their own individual characters. 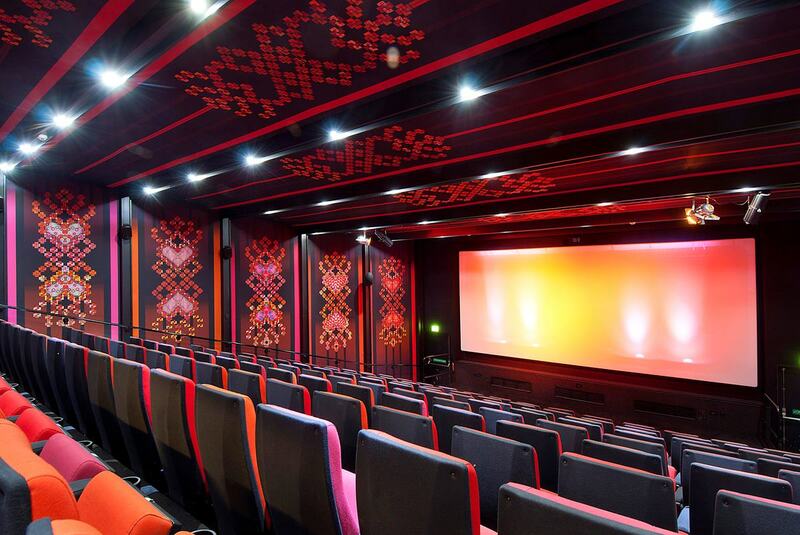 Screen 3 is a more intimate space that accommodates up to 59 guests, while Screen 1 is the largest, welcoming up to 181 viewers with its warming red hues and comfy seats. Any of the screens can be hired in conjunction with another space, of course. 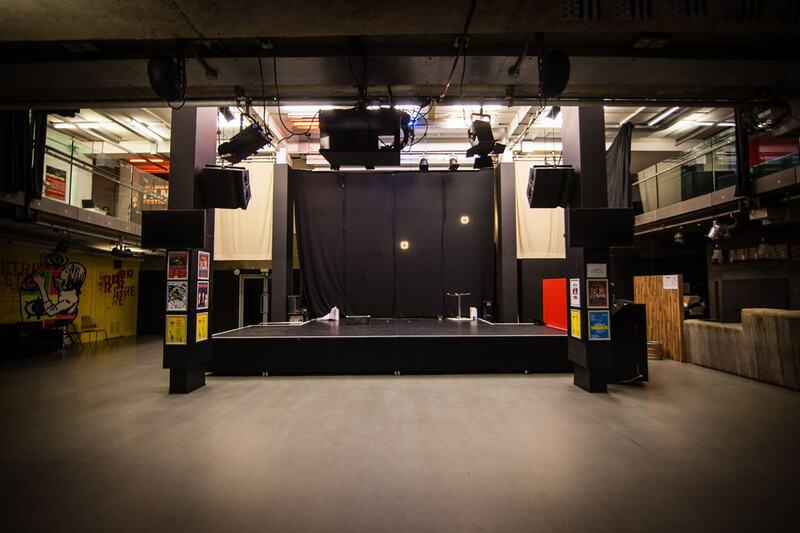 Venue 1 is a popular choice, thanks to its theatre-style layout, ideal for live performances. But its retractable seating means that it's still a large area for parties and other sociable events. And if flexibility is the key, then Venue 2 is the one. The blank-canvas nature of the room means businesses are able to take their branding game to another level – and companies such as Caffè Nero, Ben & Jerry's and Reebok have done just that at Rich Mix. And on the subject of branding, one of the unique features at Rich Mix is the ability for companies to project onto the outside façade of the venue. 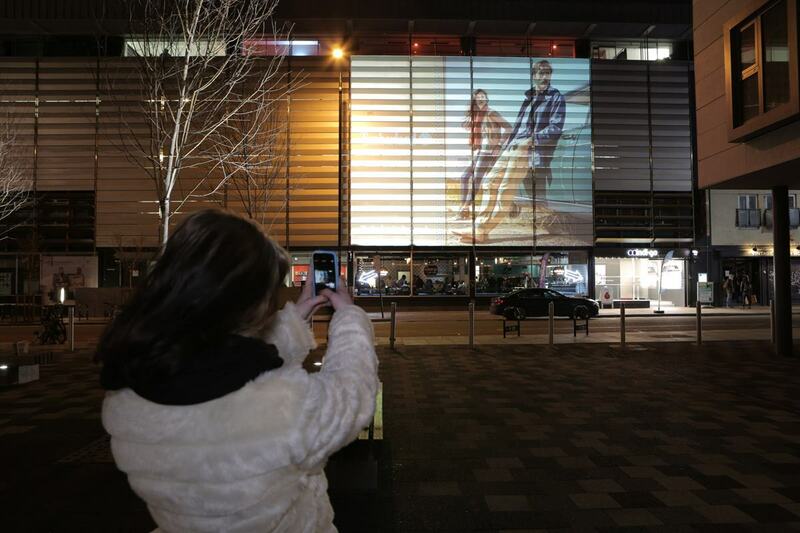 Bear in mind the front of the venue is essentially opposite Shoreditch High Street station, meaning the footfall per hour is around the 3,400 mark, creating a huge audience for this digital canvas. Similarly, the backyard space is transformable and accommodates hand-painted advertising, with passersby on lively Redchurch Street as the sure-to-be-intrigued audience. All this is before mentioning the multiple other spaces: there's the fully-functional Boardroom, for smaller meetings, as well as the Mezzanine, a gallery space ideal for arts and cultural exhibitions and receptions, with comfortable seating and a view of the Main Space below. 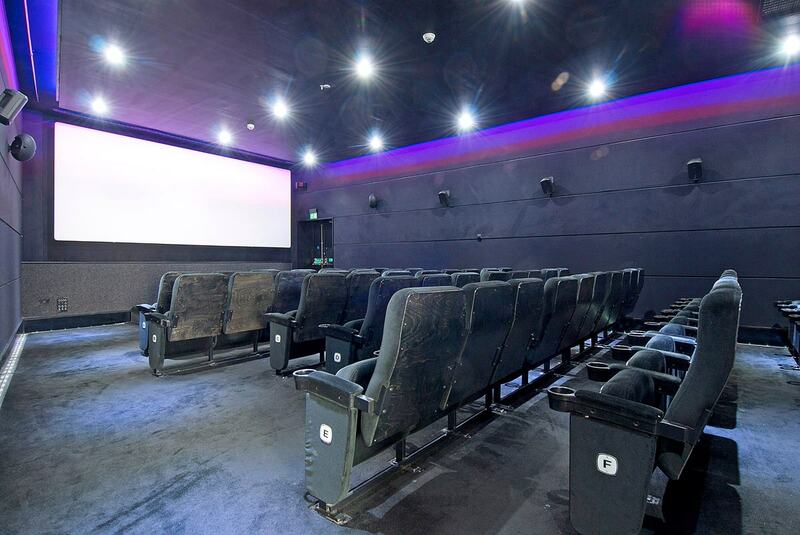 That Main Space is the main theatre space, equipped with high-quality lighting rigs, a technical booth and projection facilities – just as you'd expect at a professional theatre. 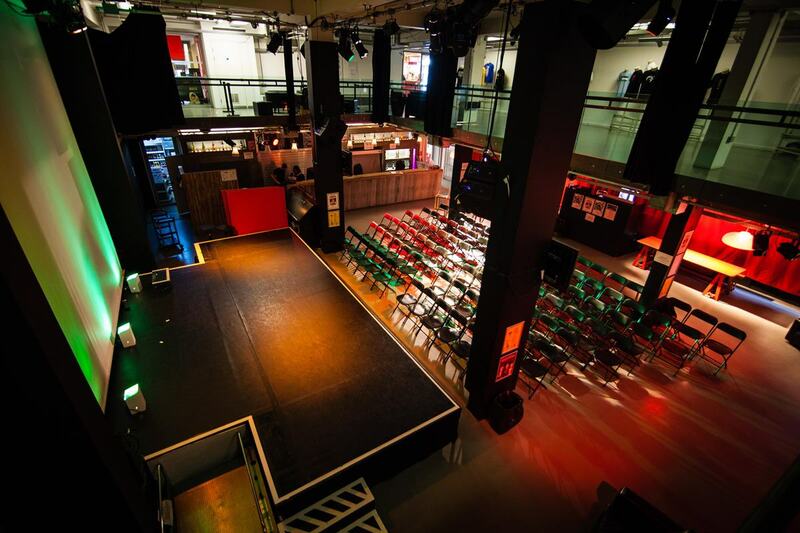 It'll hold up to 200 people for theatre-style events, and up to 350 for standing events in tandem with the Mezzanine. It's worth mentioning, of course, that Rich Mix is a registered charity, with all profits supporting local arts and education. Let the numbers do the talking about its charitable work: 40,000 people enjoyed free arts and culture at Rich Mix last year. 24 creative organisations are housed within the complex, employing over 260 people. And last year, the venue provided 4,000 hours of free rehearsal space to local artists. At the time of writing, Christmas parties are getting booked up! To find out more about Rich Mix, and enquire for your winter party or any other event, click here.